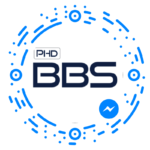 The Ph.D in Business & Behavioural Sciences was born within the context of the latest behavioural and experimental shift that has revolutionized economics and management. Set with an interdisciplinary approach, the Ph.D aims at giving students the opportunity to learn the founding elements – from an epistemic, theoretical and methodological point of view – of the behavioural sciences and of their application in all of the areas of business (economics, finance, management, accounting, marketing, leadership, organizational behaviour). “Individuals, Markets and Organizations” Area (SH1: ­ Economics, finance & management)­. First-Year Paper: All first-year students are required to present a research proposal to the Faculty by September 30th of their first year and write and turn in a first-year paper by September 30th of their second year. Second-Year Paper: Students are expected to present a second research proposal to the Faculty by May 15th of their second year and write and turn in a second-year paper by September 30th of their third year. The Department of Neurosciences and Imaging sponsors a variety of seminars for the presentation and discussion of current research in Business and Behavioural Sciences. 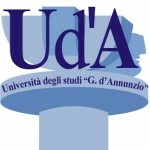 Speakers include faculty and doctoral students from the University of Chieti-Pescara and other Universities. These seminars comprise an essential element of the PhD program, and students at all stages of the program are encouraged to participate. At the end of the PhD program each student must write and defend a PhD dissertation. Students are encouraged to present a ‘three papers’ PhD thesis. Questo sito utilizza dei cookie per migliorare la tua esperienza di navigazione. Per continuare a navigare, acconsenti ai nostri cookie. In qualsiasi momento puoi cambiare o revocare il tuo consenso direttamente dal tuo browser.